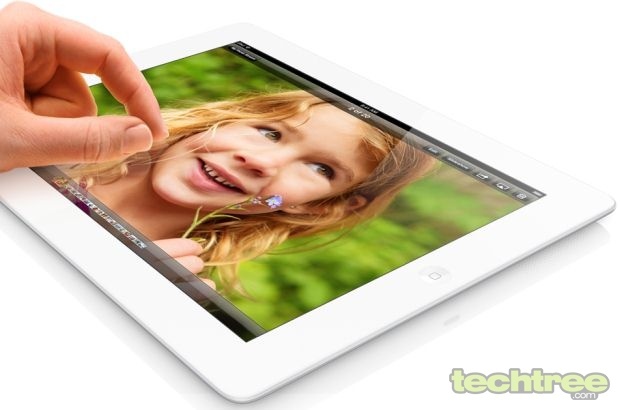 Apple has announced the 4th generation iPad, which, they claim, is faster than the previous version. The new iPad is esentially just the 3rd generation iPad on steroids, with an A6X CPU in place of the A5X — meaning graphics performance will be up to twice as fast. Only one more feature distinguishes it from the earlier version — the smaller 30-pin Lightning connector dock. The company has stated that despite the faster performance, battery life will still be 10 hours. The rest of the specs are the same as those of the 3rd generation product. The slate sports a 9.7" Retina display with pixel dimensions of 2048x1536. The camera is a 5 mp iSight with FaceTime HD, and in addition to Wi-Fi, there is LTE connectivity. The 16 GB Wi-Fi model will be available for pre-order in the US and a few other countries starting this Friday for $500 (approx Rs 27,000), while the LTE model with the same capacity will cost $630 (Rs 34,000). The Wi-Fi only model will ship on 2nd November, while the LTE variant will retail a few weeks later. Availability in India is not known yet. If you remember, the 3rd generation iPad had issues with overheating, and it was reported that a modified version would be launched — with tweaks aimed at addressing the overheating. We don't know if that has been taken care of in the 4th generation iPad, but we do hope it has — especially considering that the more powerful A6X CPU will generate more heat than the A5X.